Following a look at a few upcoming Air Max Plus colorways, Nike continues to add to its lineup with an upcoming “Miami Vice” iteration. This release features a Black-based upper highlighted with a gradient Fuchsia and Light Blue on its plastic overlay. A bold Light Blue Swoosh logo on the sides, with Fuchsia continuing on the midfoot shank as well as on its outsole. 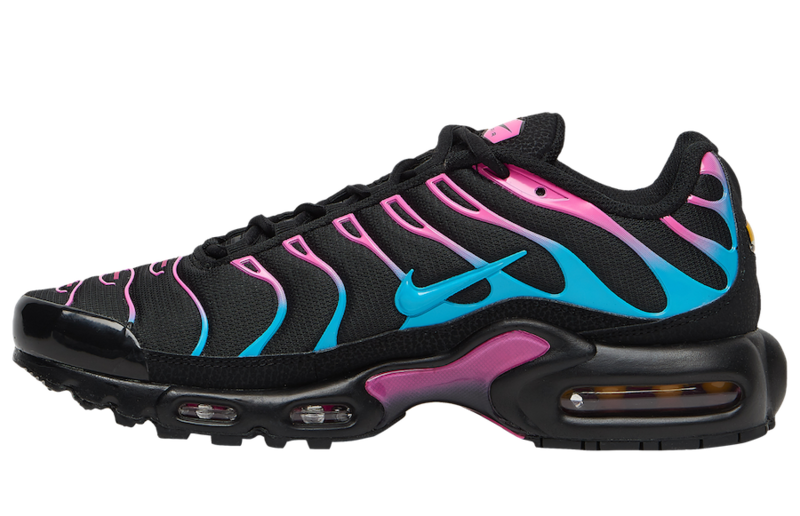 Look for the Nike Air Max Plus “Miami Vice” to release on March 21st at select retailers such as Foot Locker. The retail price tag is set at $160 USD.